Have you had Florida Orange Juice today? Watch here to see how OJ can help you Take On The Day. 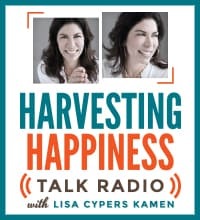 Internationally-recognized happiness expert Lisa Cypers Kamen has teamed up with Florida Orange Juice to share her favorite tips for maintaining a positive outlook in the face of life’s little annoyances. In a rush or feeling overwhelmed? Take five, long deep breaths, which may help induce relaxation by triggering the release of hormones that calm the nervous system. Taking a few minutes out of your busy day to consciously inhale and exhale is a quick, easy and free way to relax wherever you are. It also will bring you back to the moment with a refreshed outlook. For an instant mood boost, take a five-minute walk outside to soak up your surroundings and enliven your senses. Pay attention to the sights, sounds and smells. Moving your body is a natural way to instantly perk up your mood. Take a few minutes during a stressful day to listen to your favorite upbeat or inspirational song. Don’t have time for the entire song? Even listening to part of a tune will put a joyful pep in your step and give you a brief escape to help you rejuvenate. 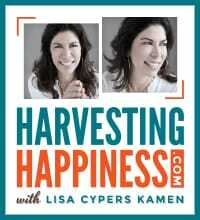 A great way to feel happier is to help others find happiness as well. For a daily lift, perform a simple act of kindness for another person. Even something small, like holding a door open for a stranger or complimenting a co-worker, can do wonders for your own mood and will help make someone else’s day a little brighter! When you’re feeling bogged down by daily obstacles, challenge yourself to write down five things in your life for which you are grateful. Not only will this take your mind off what’s bothering you, but looking on the bright side will help you keep these frustrations in perspective so you can face them head-on. And putting them down on paper will give you something to go back and read when you’re feeling down. Challenge yourself to try something new each day to open up your mind to fresh experiences, like a different type of cuisine, a genre of music you’re not familiar with or introducing yourself to someone you’ve never met. Repetition can breed boredom, so finding new ways of experiencing the world through curious eyes can be enriching. *Olson Altman Associates ZMET Study on behalf of the Florida Department of Citrus. The ZMET is a patented interview process that leverages the power of figurative language to find the deeper “whys” that underlie consumers’ interpretations, stories, choices and behaviors. This unique, non-directive process elicits the metaphors consumers naturally use to frame their thinking, emotions, attitudes and deep needs. The survey is based on 1,002 surveys completed by adults aged 18 to 50 years old, conducted on behalf of the Florida Department of Citrus between September 21 and 27, 2011 by Richard Day Research. Respondents were drawn from a national online panel maintained by Survey Sampling International, and completed the survey online. Quotas were set to ensure the sample reflected the demographics of U.S. population between these ages. With a pure probability sample of this size, one could say with 95 percent probability that the results based on the total sample have a sampling error of +/- 3 percentage points. Bartow, Fl., December 13, 2012: Heavy breathers, slow walkers and loud neighbors are just a few of the top annoyances that irk Americans each day as discovered through a Twitter scan conducted by Florida Orange Juice. To help people deal with these common irritations, Florida Orange Juice is partnering with Buzzfeed, the popular website for the latest social content [www.BuzzFeed.com/FloridaOrangeJuice], to help alleviate these annoyances with a much-needed reprieve of laughter. The comedy-focused Buzzfeed campaign reminds Americans that a good laugh, much like a cold, refreshing glass of 100 percent orange juice, can help people take on the day, no matter what it may have in store. To help people see the world from a positive perspective and turn daily frustrations into a good laugh, Florida Orange Juice is giving Americans an opportunity to unleash their inner comedian and provide their own take on life’s annoyances for a chance to win a trip to Chicago for the ultimate comedy experience. Once a month through February, a new meme illustrating daily annoyances will be featured on the Florida Orange Juice channel of Buzzfeed. Viewers will be able to read through Buzzfeed’s and other visitors’ descriptions for a laugh, as well as post their own funny captions on the image. One finalist will be selected each month by the comedic team at Buzzfeed and Florida Orange Juice. In March, Buzzfeed will select the top contest entry among the three finalists to be named the “Funniest of the Funny” and win a trip to Chicago, a city that commenced the careers of some of America’s favorite comedians. For contest updates, rules, and more information, please visit www.Facebook.com/FloridaOrangeJuice and follow Florida Orange Juice on Twitter at @OJFromFlorida. The Florida Orange Juice “Top 10 Annoyances” Twitter scan uncovered the top 10 most reoccurring challenges or annoyances people face on an everyday basis. Conducted over a one-week period in September 2012, the scan explored frequently used hashtags including but not limited to: #fail, #sigh, #ugh, #whyme, #petpeeve(s), #irritating, #frustrating, #annoying, #soannoying, #thatjusthappened, #omg, #smh, #fml or #seriously.